It’s safe to say that most people, if given the choice, are reluctant to resign themselves to a senior living center. For many elderly folks who have lived long and independent lives, these care homes are symbolic of weakness — an open acknowledgment that their minds and bodies aren’t what they used to be. Indeed, convincing your elderly loved ones to make the change can be extremely difficult, and that’s why it’s important to know what they’re truly getting out of it. In reality, many senior living centers represent a major improvement in the quality of life for their residents. 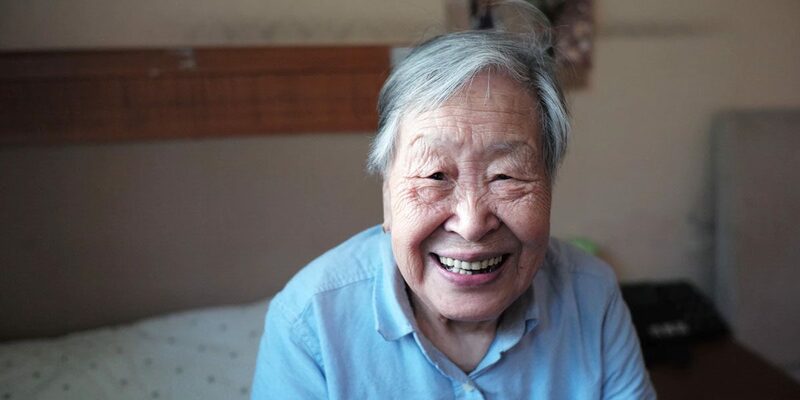 At Wilson Care Group, we take many seniors in when in-home care is no longer enough to meet their needs, and one of the most fulfilling parts of our job is seeing the happiness that manifests itself after our residents adjust to their new home. One of the biggest barriers to living in a senior home for most folks is the loss of independence. At least, that’s how they see it. At Wilson Senior Care, we understand how important it is to allow our residents to retain as much independence as is possible, barring the essential services they require from our caretakers to stay healthy. Each senior gets their own room and they can opt for privacy whenever they want. We respect their desire to be alone when they need it, and meanwhile, if they ever need people to talk to, they have their neighbors and caretakers right outside. At Wilson Senior Living, we actively encourage independence. While community is a tremendous priority of our senior care center, we understand that too much of it can feel suffocating. For many people, community and independence cannot exist without each other —when balanced well, they both have room to thrive. That, of course, brings us to the next big perk of our senior center — the community! Tragically, many elderly citizens live dreadfully lonely lives. Those who raised large families have reached the point where their children are all grown up, either scattered across the country or raising families of their own. Those who didn’t raise children may find themselves living past their dear friends. The isolation of living alone can be taxing on one’s mental and physical health. That’s why one of our biggest priorities is to foster a community of friendship. We love seeing our senior residents open up and become their true selves once they’ve made friends at our care center. Oftentimes, years of lonesome living has put them into a shell, and they only realize what they had been missing when they’re finally surrounded by people who care about them — friends with whom they can converse every day. Friendships blossom all the time at Wilson Senior Living, and if you have a loved one who you think is a good candidate for residency, you can bet that they’re sure to make some new, wholesome bonds. Once you reach the point where you require caretakers for certain basic needs, there is, unfortunately, a sense of restriction in what you can or cannot do on your own. There are countless joys and pleasures available to everyone if they can get in a car and drive, but for many seniors that’s just not an option anymore. Community Living Rooms: Each floor has its own spacious living room which acts as a communal center for all residents on that level. In each room, you’ll find tables, comfortable furniture, and of course, a big-screen TV that residents can watch to their hearts’ content! The living rooms are easily accessible, meaning seniors can quickly and easily switch from an independent environment to a communal one depending on their mood. Spa Room: Spa rooms not only feel amazing, but they’re also a boon to your health. At old age, the human body needs as much help as it can get, even if you’re making all the right choices. Seniors at our care center can enjoy a soaking tub, salon equipment, and more. Now that’s something they probably never had at home! Activities On and Off-Site: We provide all kinds of activities that seniors can partake in — some are constantly available, while others happen in the form of weekly events. We like to cover all the interests our residents might have — whether it’s playing games, engaging in creative time, or some form of physical activity, we can guarantee every resident will find something that appeals to their personal taste. Laundry and Housekeeping: It’s pretty hard to find people who actively enjoy doing laundry, and for elderly folks, it can be a downright pain. Our residents love having their laundry done and ready for them at all times, and any housekeeping they require is also taken care of. They’ve spent their entire lives giving to the world — it’s time for them to take a break so we can give back to them. While moving into a senior living center is a major change in the life of our elderly loved ones, most of them find it to be a blessing in the long run. There’s nothing wrong with reaching the point where you need help from others to keep on going — if that requires shelter and caretakers, it’s the least we can do for these people who raised the younger generations. We want to provide the best life possible for everyone who lives in our Honolulu senior care facility. Do you have a loved one that would be a good candidate for Wilson Senior Living? Contact us today!